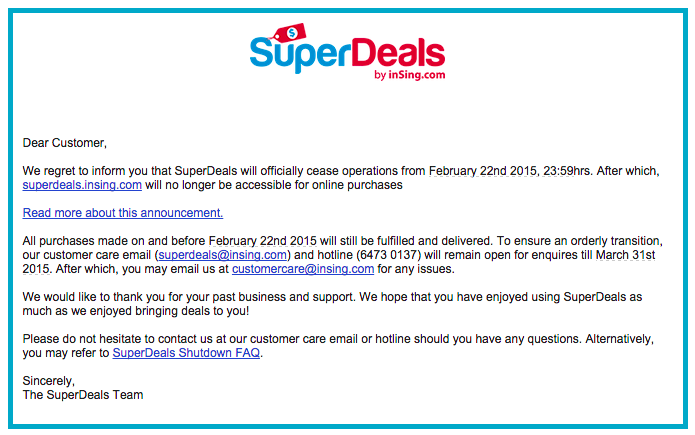 Singtel To Shut Down SuperDeals Portal — Is This The End Of S'pore's Daily Deals Era? Singtel’s digital arm, inSing, has announced that it will be shutting down SuperDeals, the official group buying site by Singtel. 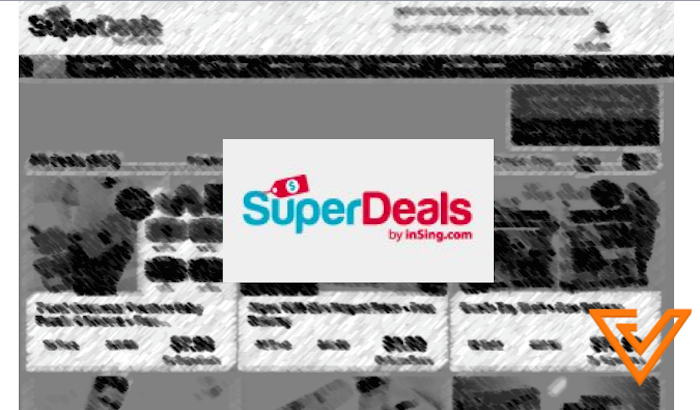 Started in 2010, SuperDeals is a partnership between inSing and AllDealsAsia, one of Singapore’s leading online daily deals site. SuperDeals features various group discounts on various categories, including buffet discounts, travel discounts, shopping deals and many more. We previously wrote that inSing had also shut down its e-commerce site Lyke in December. Inevitable End Of Singapore’s Daily Deals Site? 2010 saw the rise of daily deal sites in Singapore, with the first official one being Beeconomics. 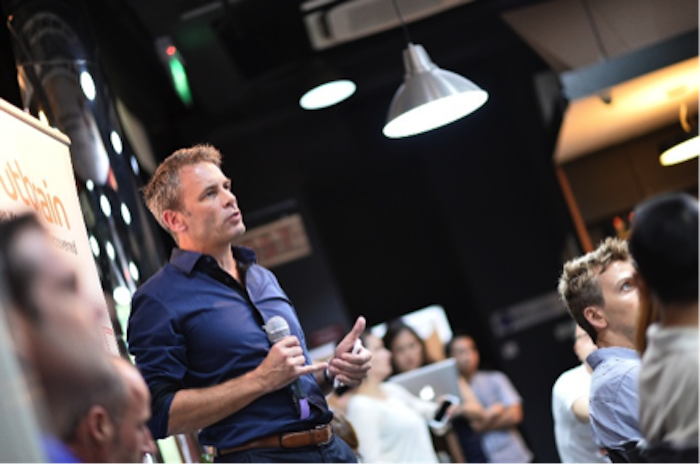 Beeconomics was later acquired by Groupon, and became Groupon Singapore. Following its success, several other daily deal sites also saw explosive growth, notably AllDealsAsia and Deals.com.sg. Singtel jumped onto the bandwagon too, and through a partnership with AllDealsAsia, launched SuperDeals through its digital media arm inSing. Over the past few years, daily deals companies mushroomed all over Singapore — but most haven’t survived. Fundamentally, the model of daily deals is detrimental for businesses: small businesses offering such discounts often end up losing money. Not only do they have to put up steep discounts for their products or services, they also need to pay a high commission structure to list on daily deal sites in exchange for their exposure. Still, even if they were to suffer some short term losses, making use of the daily deals model could bring small businesses a group of long term loyal customers. Unfortunately, as there are a lot of small businesses around offering similar services, customer loyalties are hard to come by. These businesses might therefore find that customer volumes fall after the deal campaigns. They then have no incentive to list new deals through their daily deal sites. Because of this, daily deal sites such as AllDealsAsia and Deals.com.sg have started to move into e-commerce to carry their own inventories, while still maintaining their daily deals section. Joel Leong, Head Of Marketing at cash back site Shopback, said that while Singtel has exited SuperDeals, the deals space is still very much alive. “I think this doesn’t change the fact that users still love deals. However, with the bombardment of deals everyday, users have gotten more selective on the deals that they respond to. I think the deals space is still very much alive, just that platforms increasingly have to innovate to get deals that appeal to customers,” shared Joel, when we asked if the daily deals era is coming to an end. Other smaller companies that couldn’t move fast enough, or didn’t have a big enough marketing reach, went out of business. In Singapore, these include (as of the end of December 2011): Adsite, Buyza, DealCreation, DealsInSingapore, DealShop, DealSociety, Deals89, DiscountHippo, EasyDeals, eVoucherCity, Foodpon, GobblerDeals, Good2GreatDeals, GorgeousDeal, GrabMe and many more. 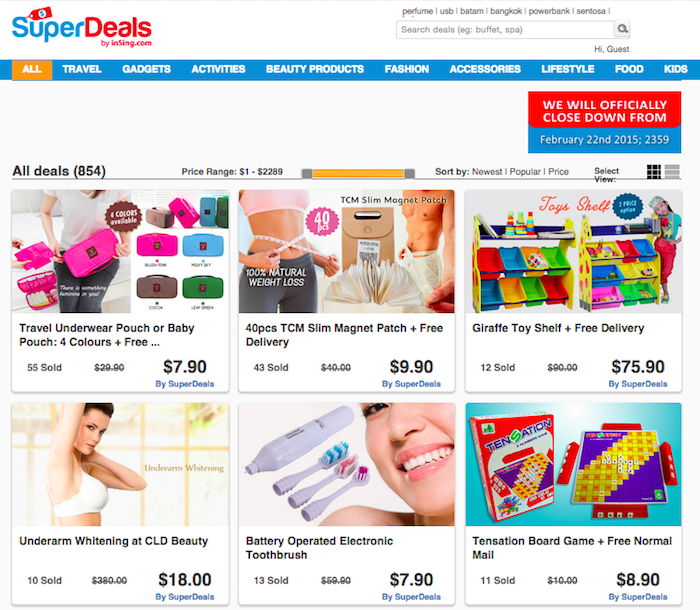 And it seems like SuperDeals has now joined the pool of dead daily deal sites in Singapore. Do you still purchase and use any daily deals coupons?